Swankie Blankie two-piece gift set from the Ziggy collection. 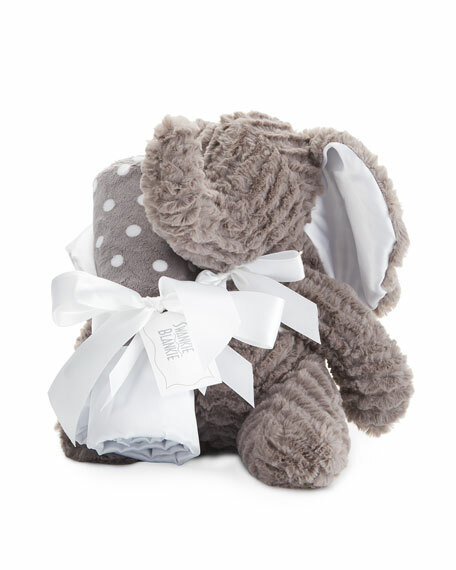 Plush elephant with contrast satin detail at ears. Plush polka-dot blanket; satin edges and reverse.